The Story: A prison guard is tasked with stopping a rebel force that is moving towards dethroning the king. This is one of those movies where you just sit back and watch a non stop, bloody action fest unfold before your eyes. 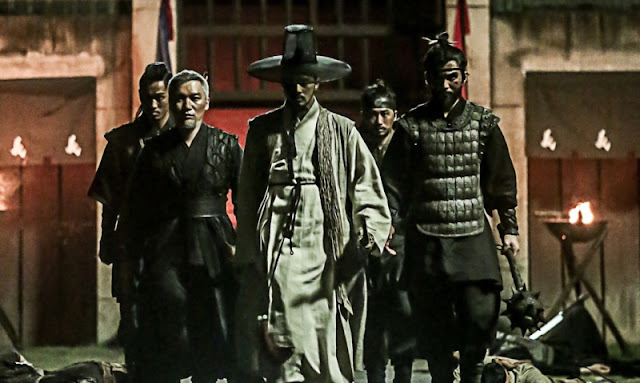 The fighting is pretty much non stop other than a few emotional bits of drama and some exposition sprinkled in here and there and all of it is top notch, intense, and at times breathtaking. The primary character, played by Jung Hae-in, gets to square off against just about every other character in the movie and he proves himself to be more than capable yet not completely unstoppable. 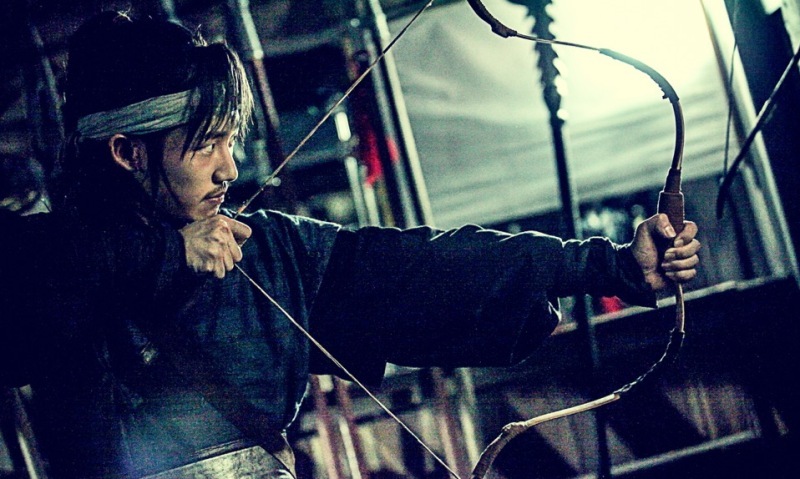 The fight choreography is very important to get right and to have a good variety because there is so much going on. Each battle and every fight builds on top of each other and the hero has to face tougher opponents pretty much every time he turns round. There's a lot of cool stuff to see with different fighting styles, various weapons, and contests that do a good job of telling story and moving the plot forward. The film makers also have a great time splattering mostly CGI blood anywhere and everywhere including the camera although not in an extremely gratuitous fashion, but definitely leaning towards a bit of excess. The Age of Blood is a very well made martial arts action spectacle that also tells just enough of a story to keep you engaged from start to finish. Definitely a film I would recommend for genre fans. 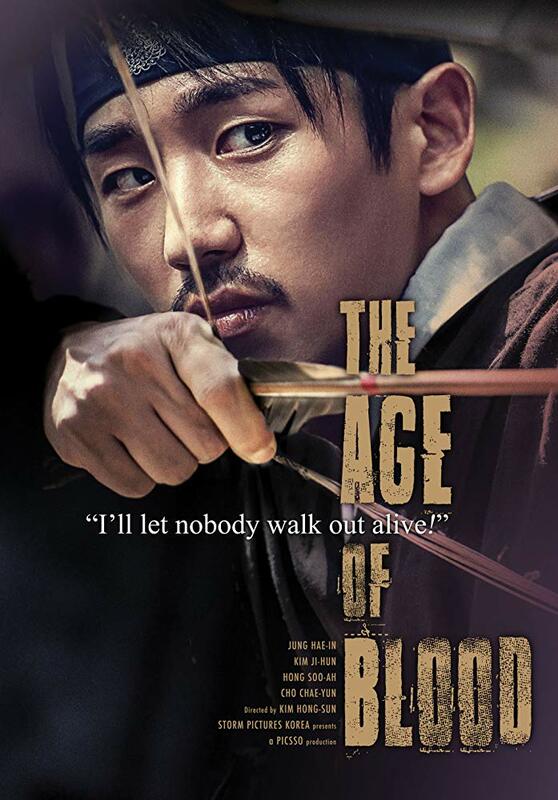 The Age of Blood is an official selection of the 2018 New York Asian Film Festival.